Recently, in a bid to reassure investors that Apple is still at the cutting edge of innovation, CEO Tim Cook all but confirmed the company will announce a new product category in 2014. And, while rumours have been rife over the past twelve months that an Apple iWatch could be on the way, we here at T3 think there are other avenues for Cupertino to explore. Lifestyle bands such as the Nike+ Fuelband SE and Fitbit Force are swiftly becoming the go-to wearables of choice. At the CES trade show in Vegas last month, it seemed every tech firm in business was planning a fitness tracker of some sort or another. Naturally then, we here at T3 Towers began to wonder if Apple could lean towards a health and lifestyle band instead of a smartwatch? Add to this idea the supposed rumours of the new HealthBook app prepped for the iPhone 6, and a smartwatch appears even less likely. 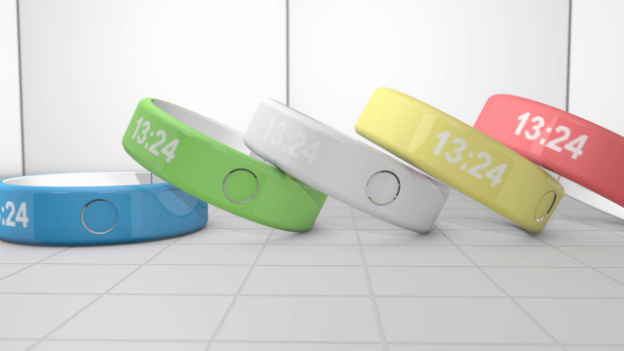 So, with a new direction in mind, we set about creating our own concept of what the "iBand" would look like. With colours lifted from the recent iPhone 5c range blended with the company's minimalist approach, we've come up with something we think you'll want to check out. Have a look at the video below for the full experience and let us know your thoughts on Twitter or on T3's official YouTube channel.